I'm one of those hopeless people who can't stand vegetables. Awful things! Best to leave them in the ground, where they belong. 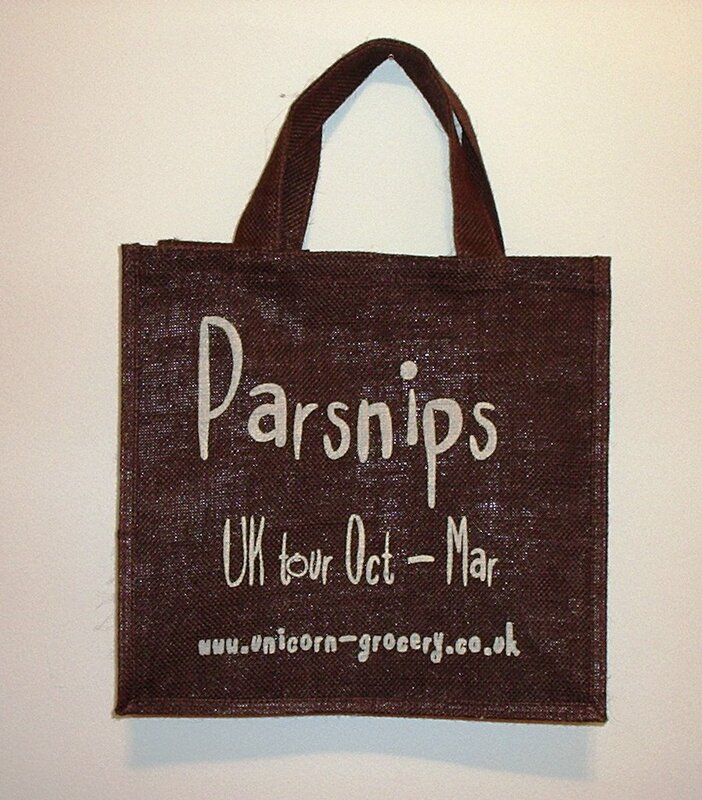 But parsnips, on the other hand - parsnips are a different story altogether. Wintry, crunchy, lovely things. Coat them in a little oil and sprinkle them with parmesan, put them in the oven...you honestly can't go wrong. My sister knows how much I like parsnips, which is why she brought me this bag all the way from Manchester when she came to visit recently. It's now on the wall in our living room. If you like Belle & Sebastian, then surely you'll like "Another Sunny Day" from the upcoming album. You can download it from the Matador site, here. The rhyme with "football" is inspired. I have found your blog to be intellectually stimulating. Feel free to stick a link in my guestbook (www.jaeford.com). I am glad to find another vegetable hater out there. They're vile and strange.